Is everyone well....no one stressed out, I mean it's not as if it's a busy time of year is it?! I've been busy here, Winnie went in and had her operation on the Monday and was fine through to 10 past 11 on the Friday night when we noticed that the wound hadn't opened up but was leaking a watery, bloody discharge, so I rung the out of hours vets and at 11.45 we're toddling off there - she was given an antibiotic injection and we were told to keep her still (easier said than done - she's a little live wire and it obviously wasn't hurting her). Anyway Hubby sat up all night with her, I sat holding her on the Saturday, Hubby did Saturday night and I did the Sunday. By Sunday night it hadn't leaked for over 24 hours, we went to bed and left her and she's been fine ever since. Mind, all in, it's cost me £300 for her to be neutered, not cheap but something that needed to be done. While Hubby sat holding her on the Saturday night, I went with my Daughter and Son in law to see my 2 Grand Daughters in their Christmas dance/cheerleading show - it was very good and we thoroughly enjoyed it. We had to laugh at M. our eldest Grand Daughter - she's 9 (going on 19!) and has she left the stage she looked at us, waved and then stuck her tongue out at us! Cheeky little madam! Then last Tuesday, I went to see K. whose 5 in her school nativity - she was the inn keepers wife - we had to smile because she was word perfect with all the different children's lines. it was a lovely nativity play and they sung the little songs beautifully, but why oh why, do schools not let them sing the relevant songs to the nativity story like Away in a Manger and O Little town of Bethlehem, etc., I don't know why, they don't - but what a loss and a shame. 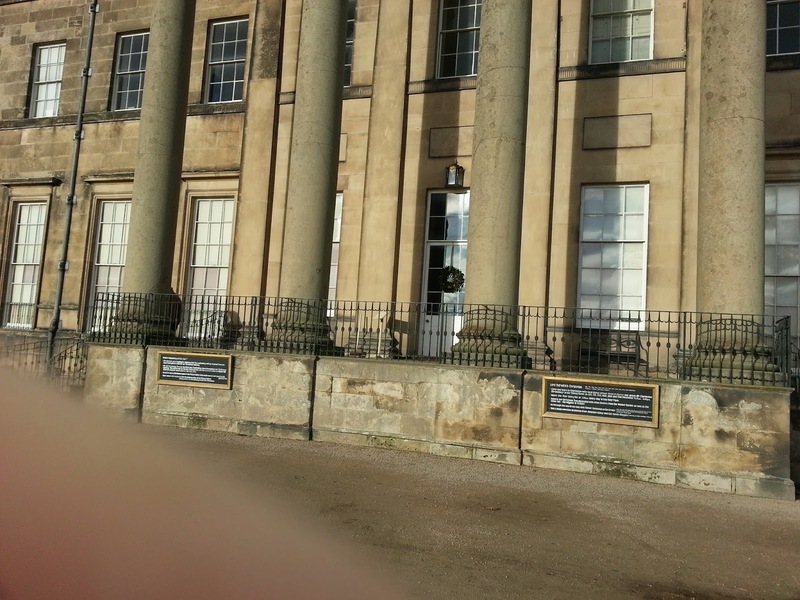 Then on Sunday we went to Attingham Park which is a National Trust property with my Son and his wife and E. and the new baby I. I can honestly say it was the best Santa that we have ever seen - it was brilliant! It was all done in the servants quarters of the big house, you went into what was a vaulted room and waited, then one of the little volunteers dressed as pixie's comes and fetches you into a corridor, where there is a set of wardrobe doors and you have to go through the wardrobe doors to go into the pixies room (pushing past the coats all on coat hangers, just like going into Narnia) The pixies room was full of Christmas trees and snow which they kept throwing over E. so we could take photos and we were told to listen for the magic bell. When the bell was rung we were shown into Santa's study. The room in a past life would have perhaps been the butlers or housekeepers room as it had a big fireplace, a table, a huge Christmas tree and Santa sitting there. he was brilliant with E. who is only 18 months old - he spoke to him quietly about if he'd been good etc., and then he fetched out a book which lit up when he opened it, took out a long list and a pen with the long feather and wrote down E. and bike next to it on the list. 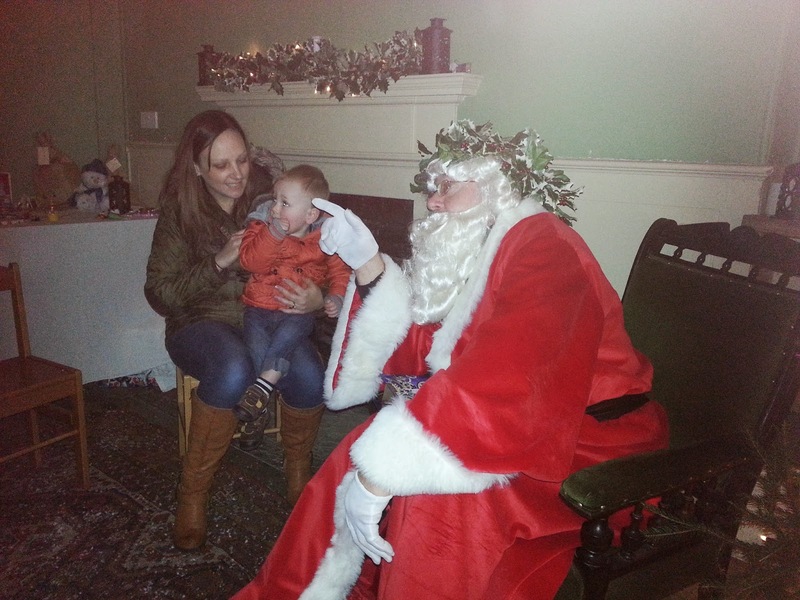 Then as we were leaving, E. was asked to ring Santa's magic bell which was obviously the nod, for the next child to go in. For any child a little older it would off been magical, it was so well organised and we weren't rushed through and all it cost was £5.50 and the gift the E. got was good quality too. After that we went round the house and saw Christmas through different era's - there was even flapper girls dancing the Charleston in the 1920's room. 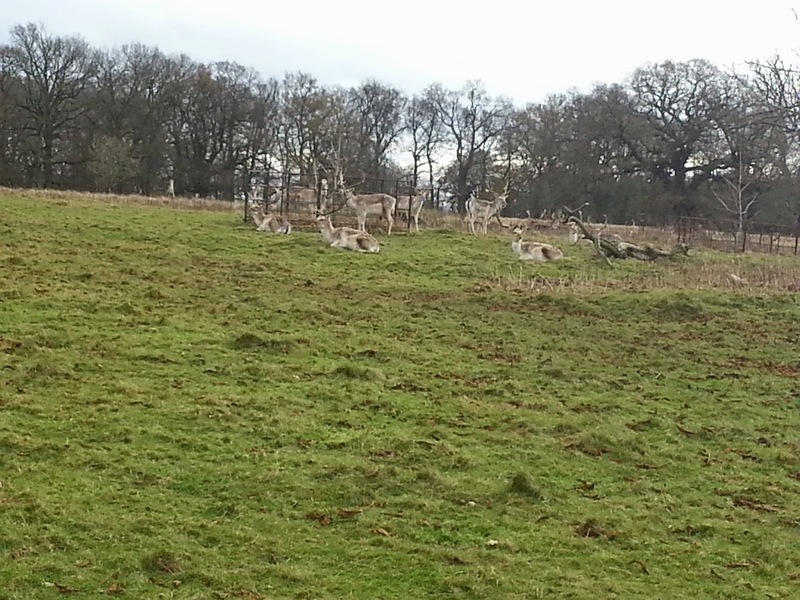 We then walked round the grounds and down to the deer. It was a brilliant morning, one that won't be forgotten for a long time. Monday I met my friend from work, had lunch out and then went a fetched 2 large pieces of beef from our favourite butchers, one which I took to my daughters to sit in their freezer and one that I have managed to shoehorn into one of our full freezers. I will cook the one that's in Daughter freezer for Christmas day at our Daughters home and the other will be for our home for Boxing Day when my Son and Grandchildren come over. Yesterday it was up to Wales to see my Dad, my Mum is in hospital for the week just having some physio and hydrotherapy for her arthritis. Today has been about ironing and catching up with the chores. Now its time to start doing some more wrapping of Christmas presents, I seem to have been wrapping presents for a month of Sundays! Looks and sounds like a wonderful time with Santa! Enjoy your Christmas!